Last night, my friends, Jason Frankel of Excel Entertainment and singer Livia Tedesco, were chatting with me about my lady friends in the arts. I mentioned "Dave Volpe Night" at the Peddler, organized by singer Jackie Jacqueline Montero Cornella and I suspect Gloria Bonelli had a hand in it. Jason and Liv, I apologize for not telling my Englewood Cliffs singing friends about it. You see, I never expected anyone to show up and frankly, I am just a karaoke singer. 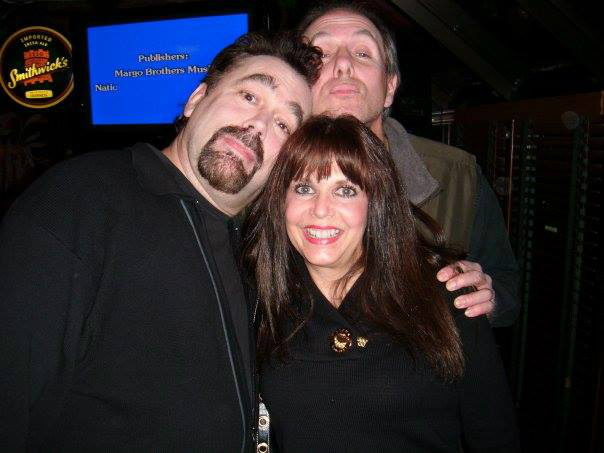 So, when people like the great Michelle DellaFave from the Dean Martin Show came I was astounded. Oh, sorry Felicia Romeo Williams for not introducing you. I know Dean and Michelle were special to you. Bob Donlan, retired from the music industry was there. Larry Gruber, sound mixer for so many bands and realtor extraordinaire, and others too numerous to mention. Over the last ten years, my friends in the arts kept introducing me to other dancers, singers, and models like Cynthia Mendez-Correa who I posted the other day. As well, there are painters, actresses, television personalities, unique people like Dot Stein who literally had her hands on nearly every world famous rock musician, etc. It's like one gigantic artsy family out there! You people enhanced my life and gave me my 8 minutes of fame (TWO songs at The Peddler LOL). Love you.